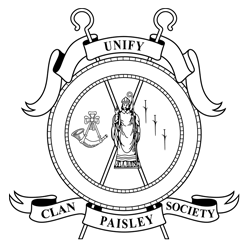 The Paisleys are a family of considerable antiquity, having been associated with Lochwinnoch and Paisley (parts of what later became Renfrewshire), with Cunningham and Kyle (North Ayrshire), Innerwick (East Lothian) and Roxburghshire, since the time of William I King of Scots 1165 - 1214. William I Paisley (died ante 28 September 1171) and William II Paisley (killed in battle ante 1218) were prominent in the following of the first three hereditary stewards of Scotland, while William II Paisley is also noticed attending the itinerant court of the King of Scots during 1179 - 95. Separate and quite distinct branches of the family had already developed at Lochwinnoch and Paisley and in the Roxburgshire barony of Hawick before the end of King David Bruce's reign in 1371 and the beginnings of others are found in records for Edinburgh and the three Lothians from 1389 onwards and at Dunrod near Borgue (Kirkcudbrightshire) in still Gaelic speaking Galloway from 1585. 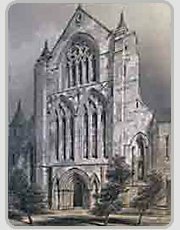 John Paisley, whose family had held part of the lands of Fulton on lease from the Abbot of Paisley during the period 1460 - 84, was among the first 'burgesses' to feu land in the developing Abbey town of Paisley. Successive members of John's family continued to reside in the burgh for another four hundred years of so, where they played an important part in the town's weaving manufacture and export trade in 'Scotch Lawns and Gauzes'. During what might be called the peak of their activity from about 1656 to 1783, no less than five family members (in four different generations) served on the town's ruling council, by which body three went on to be selected as Treasurers, and another, Robert Paisley (f. 1656 - 1707), as Bailie or Magistrate on eight different occasions. Evidently a man of some financial consequence, for a time Bailie Robert Paisley held the wadsett or mortgage over the ten pound lands of Elderslie with its 'fortalice, manor house and yeards' (an estate owned by the descendant family of William Wallace). He was the father of John Paisley, minister of Lochwinnoch 1691 - 1728, the grandfather of Robert Paisley (died 1711), minister of Stewarton, Patrick Paisley (died 1736), minister of Kilmarnock, and the great-grandfather of Robin Carrick of Braco (Galsgow's first millionaire - mother: Margaret Paisley) (died 1826), one of the founding partners of the Glasgow Ship Bank. Another of Bailie Paisley's grandsons, John Paisley (died 1740), surgeon in Glasgow, was the first to hold Anatomy classes at the university there. When he died his 'considerable library of medical books' passed to his former pupils, William Cullen (later Sir William) and John Carrick (John Paisley's first cousin and brother to Robin qv. ), when they founded the now famous Glasgow School of Medicine. In the 'New Town of Limavady' in County Londonderry, Ulster, Henry Paisley and Neil Paisley (the son and grandson respectively of William Paisley elder f. 1628 - 64) founded a family which was still represented there towards the close of the nineteenth century and amongst whose many descendants also emigrated to North America and Canada. While from Bailie Robert's cousin John (the head of the family in Renfrewshire), who served as Burgh Treasurer in 1673 - 74, but risked everything during the 'Killing Times' of the Covenanting period by defying the Magistrates and refusing election to the town council for 1683 - 84, are descended the Chiefly family of Paisley of Westerlea with their now numerous branches not only in Scotland but in England, America, Canada, Australia, New Zealand and Denmark. Members of the merchant family from which descended the Paisleys of Craig begin to be noticed at Erkinholm (Langholm) in Eskdale from about 1688 onwards. To this family belong the Pasley Baronets of Craig, a family founded by Admiral Sir Thomas Paisley (first Baronet), fifth son of James Paisley of Craig, (granted arms in 1747). 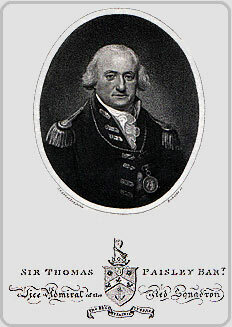 Sir Thomas, who lost a leg and an eye during 'the glorious first of June' in 1794, subsequently omitted the 'i' in the spelling of his name as a tribute of respect to Admiral Lord Nelson he too having become partially sighted from earlier battles. From the Paisleys of Craig also descend the Pasley-Diroms of Mount Annan, Luce and Cleughhead. General Sir Charles W Pasley KCB., FRS., DCL. (1780 - 1861), grandson of James Paisley of Craig, was Military Commander and Engineer, served with distinction under General Sir John Moore of Coruna in the Peninsular War. (Moore was cousin of the Westerlea Paisleys). He subsequently founded the School of Military Engineers at Chatham, and also belongs to this distinguished Scots family. His son Major General Charles Pasley, CB., (1824 - 1890), also a prominent engineer was Colonial and Inspector General of Public Works in Victoria (Australia) whilst on leave from the DPW, he volunteered to serve with the British troops in New Zealand and fought in the Maori wars of 1860. He married Charlotte Roberts, a cousin but had no family dying in 1890 with the representation of this distinguished family resting with the Pasley-Tylers. Captain Sir Henry Whatley Tyler, who died in 1908 was an instructor at the School of Military Engineering under General Sir Charles Pasley, married his daughter Margaret Pasley, an accomplished portrait artist. Sir Malcolm, the 5th Baronet (1926 - 2004), following the family tradition, served in the Royal Navy 1944/45 before pursuing an academic career at Oxford. He was appointed a lecturer at Magdalene College in 1950 and a Fellow in 1958. He received numerous academic awards during his career but his most notable achievement was the personal retrieval of the Kafka papers from a Zurich bank in 1957. This cloak 'n' dagger mission was accomplished driving under difficult conditions across Europe to the Bodelian Library in Oxford where editing and commenting on the text became his life's work. In 1988 Sir Malcolm Pasley became Patron of the Society. In 1994 recognising the Westerlea line to be the senior line of Paisley, happily surrendered any claims to Chiefship of the family to the current Laird. The 6th Baronet is Sir Robert Killigrew Pasley. All families have skeletons in the cupboard and noless the Paisleys who admit certainly to one Joseph Paisley (1728 - 1814). He was born near Annan, Dumfriesshire, the son of a dissenting clergyman, was a smuggler, fisherman and regarded as the first great 'Priest' to conduct declaratory marriages at Gretna Green and was followed successively by five of his family through four generations. He claimed that the priesthood had been in the family for over 100 years. 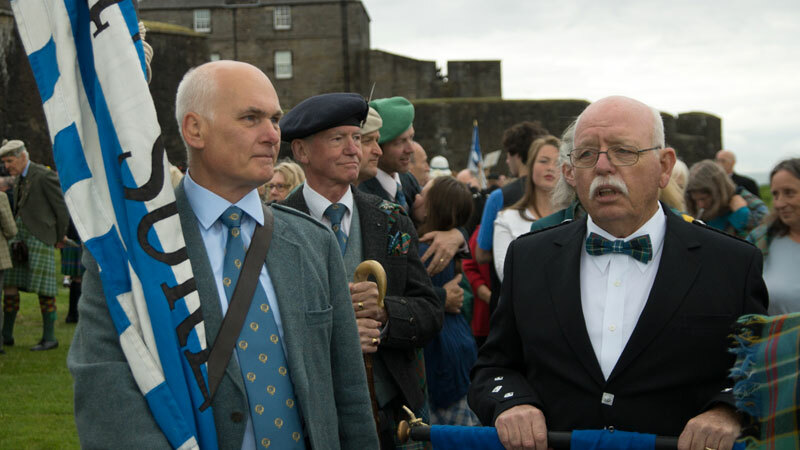 His uncle, Gordon, used to marry couples at the Rig of Gretna in the full dress uniform of his regiment, the British Grenadiers. He also claimed to be related to the General. Of more recent note Colonel David Paisley, TD, FCIS, RA (1903 - 1978) was witness to the historic signing of the unconditional surrender by the German Commanders to Field Marshall Montgomery on Luneburg Heath (5th May 1945). His nephew - Duncan W Paisley of Westerlea, succeeded as head of family and was recognised by the Court of the Lord Lyon on 17th May 1993 and with his wife, Jane, live in a charming, converted Victorian Police Station, built on the site of the old castle of Slammanan.